‪‪A delightful afternoon stroll turns to disaster when the guests of an artists’ retreat in the French mountains spot the body of a man at the bottom of a cliff. Amongst them is Melissa Craig who, binoculars at the ready, suddenly finds herself at the centre of a very puzzling mystery. Was it an accident, or was he pushed? Her suspicions are confirmed when another body is found days later in almost exactly the same spot. It can’t be a coincidence; someone in this idyllic French village is up to no good, and it’s up to her to find out who. Between the eccentric locals and mischievous guests, Melissa finds herself with no shortage of potential suspects: was it the surly handyman with a dark past, or perhaps the short-sighted widow with an excellent golf swing? But the real question is: how close to the edge will Melissa have to tread to find the culprit…? 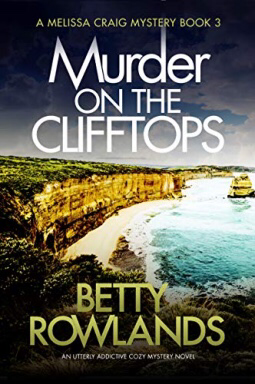 A delightful whimsical read from the pen of Betty Rowlands. Set in France she evokes the unique scenery and lifestyle of this country while at the same time drawing the reader in with her expert vignettes of local characters. Whilst a crime novel it’s old style but this doesn’t distract from the book. The writing flows, flitting from scene to scene as the body count rises. The pace is gentle but just bubbling underneath the surface, Rowlands skill as both a writer and shrewd observer of a certain type of middle-class English woman stands out. There’s a touch of the Barbara Pym here, Pym crossed with dear old Agatha. A book to be savoured for the words and the expert characterisations as much as for the plot.